G20 towards Turkey’s Presidency Discussed at TEPAV Panels addressed the G20’s policy relevance in the current global environment and possible roadmap for Turkey’s success as the G20 president. ANKARA – In the context of TEPAV’s G20 Studies, a meeting titled “Towards Turkey's G20 Presidency in 2015” was held on 21 October 2014. Sessions addressed the policy relevance of G20 in the current global environment and factors that could contribute to a successful G20 presidency for Turkey. The first panel moderated by TEPAV Managing Director Güven Sak hosted a discussion about the policy relevance of G20, with the participation of Malcolm D. Knight, Former Vice Chairman of Deutsche Bank Group and Senior Follow at the Centre for International Governance Innovation (CIGI ), Domenico Lombardi, Director of the Global Economy Program of CIGI, and Andrés Rozental, Former Deputy Foreign Minister of Mexico. 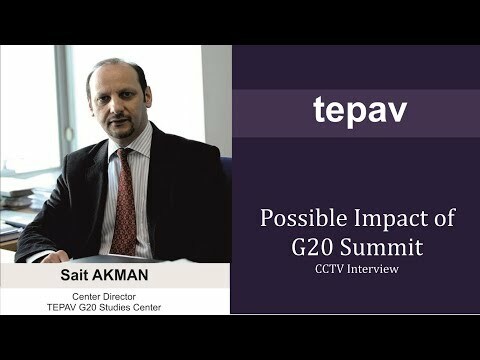 Sak stated that the G20 had not been considered a critical mechanism when it was launched in 1999 whereas the global economic crisis had increased its role. Sak stressed, with the crisis having come to an end, it was necessary to discuss whether G20 policies will maintain their relevance. He also pointed at the need to address social and human issues under the scope of G20. Malcolm D. Knight stated that G20 still took part in the global economic governance and played a critical role in mitigating impacts of the financial crisis and the resultant recession. Underlining that the governance structure of G20 could be enhanced, Knight stated that regulatory bodies had to be harmonized at member state level in order to improve the efficiency of the G20 mechanism. Domenico Lombardi said that the question “is the G20 still policy relevant” related to the role attributed to the mechanism. He added that, the G20 had a large value added in global governance for it brought together developed and developing countries as well as international organizations and G20 leaders. 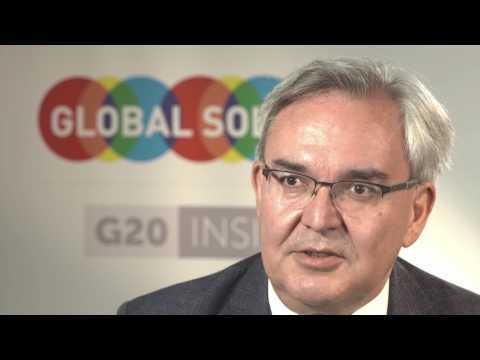 Lombardi added that the G20 as a mechanism for crisis management served as a complementary and facilitating role in the international crisis management framework. Andrés Rozental stressed that apart from the economy, the G20 had to address the now-unattended issues such as climate change, disarmament, and drugs trafficking. Otherwise, Rozentral stated, the G20 might lose its validity as a mechanism for international governance one the impacts of the global economic crisis vanishes. He in this context claimed that Turkey’s presidency could be a great opportunity to raise the Syrian crisis and mass migration, among others to the G20 agenda. The second panel session of the meeting focused on a possible roadmap for a successful G-20 presidency for Turkey. Moderated by Bozkurt Aran, Director of TEPAV's Center for Multilateral Trade Studies , the session hosted as speakers Paul Martin, Former Canada Prime Minister and Barry Carin, Senior Fellow at CIGI. Pointing at the problems regarding the functionality of the G20 mechanism, Barry Carin said that the future efficiency and relevancy of G20 depended on the Turkish and Chinese presidency. Carin proposed that the Troika should be replaced with a “bureau” system as adopted by the OECD, that the secretariat should be sized down, and agenda items should be narrowed down. For its presidency, Carin recommended Turkey to focus on the weaknesses of the global economic system, take active part in fulfilling the Millennium Development Goals in the aftermath of 2015, and address the issue of refugees. Paul Martin stated that the fundamental function of the G20 was to make sure that globalization works for everybody and said that the success of the mechanism required a steering committee that looks beyond the borders of the G20 member states. He stressed that the G20 was not an alternative but complementary to international organizations and that this framework had to be preserved for the sustainability of the G20 mechanism. Martin highlighted that the current economic conditions were conducive to infrastructure investments and cited Turkey, which has the world’s second largest construction and infrastructure sector, could prioritize infrastructure investments as the G20 president in 2015. Martin added that Turkey was a good example for its approach to people seeking refugee and could set the issue as a top agenda item and share its experiences during its G20 presidency.